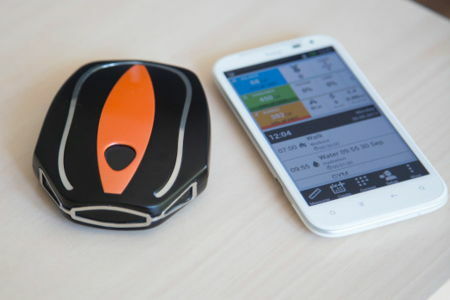 TAO-Wellness was at CES 2014 earlier this year, where the startup company paraded their TAO WellShell to the world as a prototype device. This time around, they have decided to enlist the assistance of popular crowdfunding site Kickstarter in order to meet consumer demand, and in due time, deliver the world’s first mobile, isometric exercise system. TAO happens to be a portable, interactive and motivating exercise tool which is capable of transforming downtime into exercise time – something that busy folks and executives these days would like to hear more about, I suppose. Let us read more about how TAO works right after the jump. The patented TAO system would include the handheld device, which is known as the TAO WellShell, where it will be accompanied by a comprehensive app for Android and iOS devices. Kickstarter would have opened up their doors to the TAO system already, as backers can drop by and see whether they are willing to give it a chance of being birthed all the way through April 17, 2014. Apart from that, should it be successful in raising the necessary amount of funds, expect TAO to be delivered later this fall. Just how does TAO work? The premise is extremely simple – you push, TAO resists. TAO would arrive with over 50 isometric exercises that are explained clearly in the phone app so that there should not be any way that you injure yourself or do it wrongly. Just hold the TAO WellShell in your hands (against your thighs, between your knees, etc.) and press it. Push really hard, and TAO’s app will coach you to press more or press less, alongside the duration on holding it. Not only that, it will guide you with a path so that you are able to follow and measure the force which you apply. It also has a ‘heart’ so to speak, as it can remind you of when to rest as well as the number of reps which you ought to perform. I’m not sure how far this will go in helping you lose weight and shape up, but it sounds like a real decent proposition.